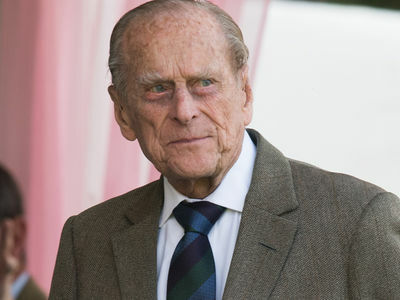 A local Brit tried his darndest to hawk debris left behind from Prince Philip's car crash last week -- and got pretty close to the finish line before eBay pulled the plug. 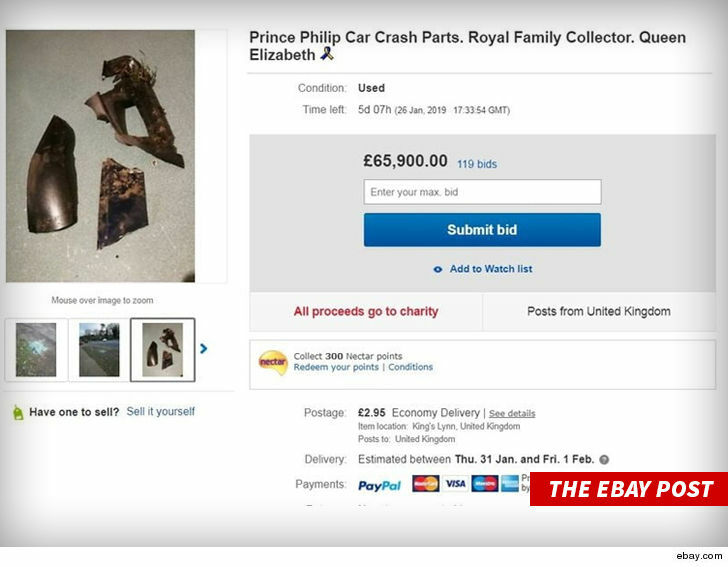 An eBay user known as morbius777 put the listing up sometime over the weekend and advertised it as "Prince Philip Car Crash Parts." 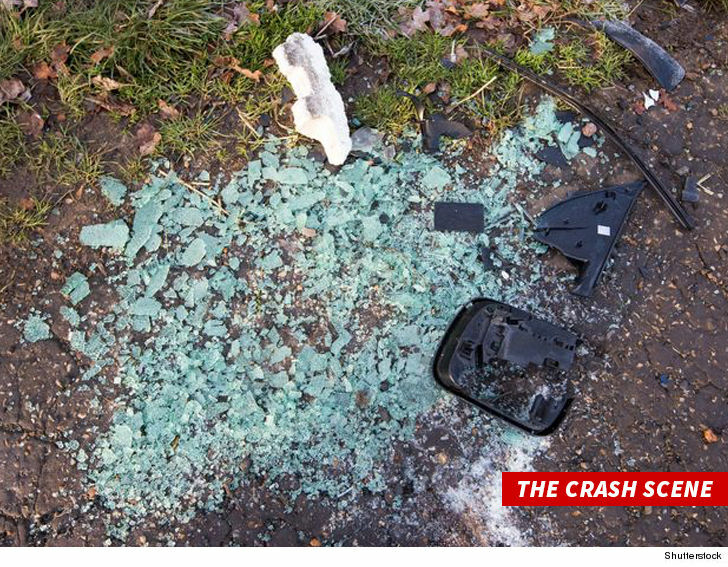 The items for auction included three plastic parts from the car wreck, and what looks like a bunch of broken glass that the user apparently picked up off the side of the road, where Philip crashed on Thursday. morbius777 also claimed that some of the debris "may even have Phil's DNA on it, if you wanted to clone him or something." Prior to eBay yanking the listing on Tuesday, bids had gone as high as £65,900 ... which is a little more than $85,000 with 5 days left. The user claimed in his post description that the proceeds would've gone to cancer research efforts in the U.K., but eBay wasn't having it. 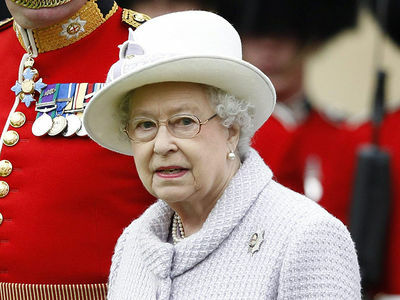 They pulled the post, citing a policy of theirs that'd been violated. 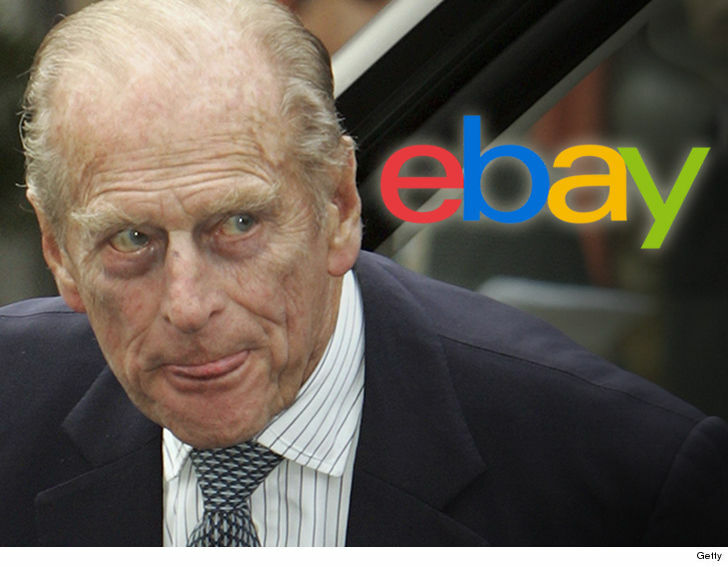 An eBay spokesperson reportedly said, "This listing has been removed in line with our policy relating to the sale of any item that seeks to profit from human suffering or tragedy." As we reported ... police are investigating the crash and will take any "appropriate action" by the time they're finished. One of the people who was injured in the other car claims police have been ignoring her and that her injuries were seriously downplayed. Cops refute her assertion that some sort of cover-up is happening, saying they've treated this like any other car crash investigation and will take her statement Tuesday.